As I read this book, I visualized the indomitable Mr. Hope delivering his lines on stage and thus appreciated this summary of his jokes-of-a-lifetime so much more. Otherwise, it could have been a little book of out-of-date one-liners. It's hard to believe that his illustrious career spanned so many humorous decades and thankfully, this book is arranged in decades, which makes it all the more interesting. Sadly though, he died on July 27, 2003 at 100 years old but through old movies and TV reruns, his incredible legacy will live on. Thankfully his daughter Linda, who co-wrote the book, sifted through his joke file and salvaged many of his humor written on bits and pieces of paper. 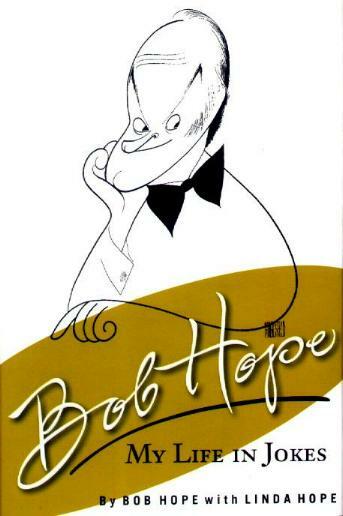 Conclusion - Nothing out-of-the-ordinary but definitely one for Bob Hope fans.